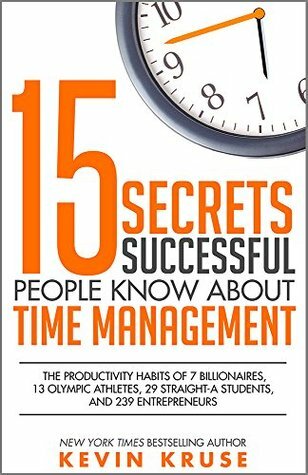 We read and hear about strategies for productivity and time management from many sources. We are bombarded with different hacks and best practices, but we tend to forget about them. This book is the solution. It’s a collection of the best practices and productivity hacks, enabling us to double our productivity and, at the same time, our happiness. Written in 2015, this is probably the best book on this subject available to the modern world. Kevin M. Kruse is a professor of history at Princeton University. He served as the David L. Rike University Preceptor of History from 2003 to 2006. His research interests include the political, social, and urban/suburban history of 20th-century America, with a particular focus on the making of modern conservatism. Every day, start your work with the Most Important Task (MIT). Disconnect and recharge every day. Always carry a notebook with you and take handwritten notes. Use the 80/20 principle to better manage your professional and private life. Focus your time on things that utilize your unique strengths and passions. Invest the first 60 minutes of each day in rituals that strengthen your mind, body, and spirit.